A month after a similar bill passed the Pennsylvania House, a Virginia state senator has pre-filed legislation allowing photos of collision damage to be used in the appraisal process. 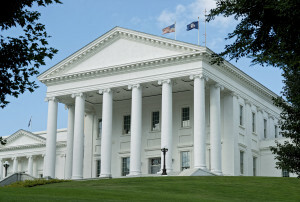 Virginia Senate Bill 193 doesn’t appear to completely eliminate the need for a physical inspection, unlike Pennsylvania House Bill 1638, which would allow photo-only appraisals for the first time in 40 years. Virginia Code 38.2-510 would still state under SB 193 that it’d be an unfair claims settlement practice to appraise a damaged car “unless such appraisal is based upon a personal inspection” by a repairer or insurer representative. We reached out to sponsor Sen. Richard Stuart, R-Montross, Tuesday for more details on the bill. A staffer said he was away at a family emergency, but he or a staffer would be in touch later. Like the Pennsylvania bill, which passed the House 116-79 in December, but has been sitting in that state’s Senate Banking and Insurance Committee since Dec. 17, 2015, the Virginia legislation doesn’t compel policyholders to submit photos to receive an appraisal. There are also safety considerations. Collision energy management could affect parts of the car nowhere near the site of the impact, and it’s possible this and other damage could be concealed from the camera eye. “Unfortunately, we haven’t gotten into a teardown situation in this industry,” she said. These inevitable shop-insurer arguments over supplement necessity will be complicated if the insurer “never physically saw the vehicle,” Hendler said. It probably doesn’t help if the insurer has visions of preserving the savings from an photo-only appraisal which doesn’t indicate those additional internal issues. “This is only going to make our industry more convoluted, less accurate than it already is,” Hendler said. Worse, this noise — an appraisal derived from photos in which the damage doesn’t look that bad, and the insurer’s natural skepticism of deviating from the orginal appraisal — could create an incentive for a shop to only fix what’s shown in the photos to avoid a fight or irritating a DRP partner. That’s not only bad for the shop’s bottom line, but does the customer a disservice. Be heard: Virginia legislator contact information can be found here.